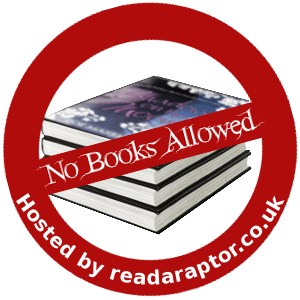 Welcome to No Books Allowed. This is a new monthly feature hosted here, which is used to discuss things things in life which aren’t connected to books. This post can be used to talk about days out, music, TV, video games, films etc for all those book bloggers out there who do occasionally do stuff other than read and go to book events! Oh September was a quiet one… right until the end of course! I had some fun earlier in September, just chilling with friends and celebrating birthdays. Work was interesting and not always in a good way, with saying goodbye to people and things beyond my control happening; but there wasn’t much to September until the very last weekend, which is why my No Books Allowed post comes to you slightly later than usual. For those of you who read these posts you’ll know I like video games, and for those who know me more personally you’ll know the boyfriend, T, loves them! The Eurogamer Expo happens in London every year and after narrowly missing out on tickets last year me and T decided we definitely couldn’t miss out again. The next generation of consoles is due out soon so it’s a very exciting time for video games at the minute! We picked up tickets for the Friday and Saturday at the expo and spent most of the two days queuing… but the queues were worth it; most of the time at least! For anyone who doesn’t know or can’t guess; Eurogamer Expo concentrates on new and upcoming video games, and consoles, and hosts a number of sessions where video game developers get to chat about their games to fans and press etc. We went to two of the developer sessions which were for two very awesome games due out just next month. The Tearaway panel focused on the game itself with a bit about the mechanics that went into it, it was a lot of fun especially as Tearaway really isn’t a very serious game, aimed at the masses rather than focused on specific types of gamer. It was great to hear the folks from Media Molecule talk about the game and see the passion which has gone into it on their faces. The Beyond Two Souls developer session with David Cage from Quantic Dream was such an amazing experience because it really went into depth about the use of motion capture for the game and how they got to utilise some of the best acting talents for it (for anyone not familiar with the game Ellen Page and Willem Defoe are the actors playing the games main characters). The two developer sessions were early on the Friday and then went spent the rest of the day checking out other games. We played Tearaway straight away and it was so good, I love that the game makes decent use of the PSVitas back panel and can’t wait to get my hands on it. Then came the Fable Anniversaries demo and unfortunately we were both pretty disappointed; the game is a HD remake of Fable one and felt laggy and jumpy and I even managed to glitch the demo out! We then split up and T tried out the new Xbox One console, due out next month, via playing the Forza Motorsport 5 demo and I went on Sims 4… I was a bit miffed that all you could do on Sims 4 was create a Sim but the game isn’t due out until later next year so they have a lot of time and I did like the level of detail you could go into on the character making. Following on from that we checked out Legend of Zelda The Link Between Worlds and SuperMario 3D World at the Nintendo booths and I think I’ve developed a new found respect for Nintendo, I had so much fun playing those games and I now really want a 3DS! Then we had a go on Beyond Two Souls which quite honestly blew my mind. I had a few problems getting used to the fighting scenes but it was a great game and I will definitely be having a go when T gets his copy! my quiet corner… which wasn’t quiet! We made our way around the London transport system and got to our hotel, found the nearest Nando’s and had an early night for our next day of Eurogamer. The next day was possibly even better because we got to check out the PS4 which we are both really excited about. I had a go on Octodad, a crazy game in which you play an Octopus pretending to be a normal person… in the demo you have to get ready for your wedding and walk up the aisle of the chapel which is easier said than done when you are trying not to reveal your true identity! Then I checked out Knack which was amazing graphically and mechanically, I can’t wait to check it out more with the full game and cause even more chaos chucking around cars and the like! We then had a walk around the indie game section playing Ethan Meteor Hunter, which is a platform puzzler ie the type of game I love, and other really small, but well developed games and then headed for the Need For Speed section for T… which ‘forced’ me to find a quiet corner of the expo to read a few chapters! More fun was to be had playing Steamworld Dig on 3DS, which T went on to buy for his 3DS (I’ll be playing that later!) and Mariokart 8 which I was appallingly bad on! The two days were so much fun and involved a lot of walking and queuing but I couldn’t have had more fun. I loved being in a whole community of gamers and the cosplay around the expo was mind-blowing at times. I’m even more excited for the PS4 and even the Wii U now I’ve had a play on them and will be checking out more gaming expos soon hopefully! This post is ridiculously long now and I probably lost so many of my readers about two paragraphs in, however the weekend wasn’t over! We went on to the Harry Potter Studio Tour on Sunday and had the time of my life! That is too closely related to books to talk about here though and lets face it… it deserves a post of its own so come back soon to read all about that! It sounds like you’ve had an amazing weekend – I have to admit to being a little tempted by the Wii U hehe.